Summer is not great for several reasons, but monsoon can often be worse because it marks the beginning of mosquito season. We employ various techniques to keep those pesky bugs away from our homes, but we often forget to use repellents when we’re out and about. With the number of mosquito-borne diseases in India, skipping this little step can prove to be quite dangerous. Therefore, in this article, we shall discuss what points you should keep in mind while selecting a mosquito repellent, so you can choose the best one for yourself, and we shall also share our list of top 10 best mosquito repellents you can buy online in India. Keep reading if you want to keep mosquito bites, as well as the diseases they may bring, far away from you and your family. Just like most other things in this world, each mosquito spray is quite different. In order to select the best one for yourself, there are a few things you should keep in mind. One of the basic differences between repellents lies in their consistency and how they are applied. There are four main types based on this difference – spray type, cream type, roll-on type, and stick-on patch type. These types are great for those who want something that they can use not only on their skin but also on their clothes. You must make sure though that after you’ve sprayed it on to your skin, you rub it in properly, so it’s evenly spread. Spray type repellents are recommended if you want something that is compact and you can carry with you. There are both expensive sprays available, as well as those that are much more economical, so you can choose whichever one you prefer. Cream or gel type repellents are meant to be applied on your skin, just like you would apply any cream. These are recommended for people who want more control over how much product they’re using at once, so they can choose to apply less or more based on their needs. Unlike most other repellents though, these take a bit longer to properly sink in, so you would have to wait for a while for the stickiness to go away. It’s also better to use these before you step out because even though you can carry these, there is always a chance that they may spill. There are also some roll-on and stick type repellents on the market, which contain a gel formula that you can apply to vulnerable spots. Just like with cream types, you can control the amount of product you want to use with these types as well. In addition, there are some formulas that can be applied directly to the skin and feel quite nice as the gel has a cooling effect. These are also easy to carry with you when you’re travelling as there’s not much fear of the product spilling in your bag. 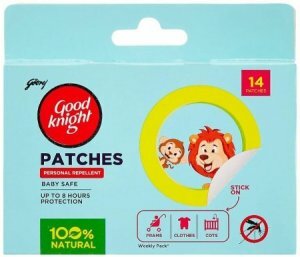 Those who’re looking for a mosquito repellent for their kids should go for the patch types. Aside from being herbal and toxin-free, these are easy to use and reduce the risk of kids ingesting the repellent in any way. They can be used on both clothes and the body, and they’re also great for travel purposes. You must keep in mind though that these aren’t the strongest repellents out there and would only work in areas where are there aren’t too many mosquitoes. If you’re planning to go somewhere with lots of mosquitoes, then you must take one of the other types of repellents as well. It is crucial that you check the list of ingredients because certain chemical-based products can be too strong as they’re meant to be used only by adults. There are natural alternatives that are usually considered to be better for kids. DEET is one of the most effective chemicals known to us that repels mosquitoes. The concentration of DEET determines its strength and how often you would need to use it. 20% to 50% DEET products are recommended for those who want the effects to last for a few hours. Although it is the best-known way to keep the mosquitoes away, it is not suitable for younger children and those with sensitive skin as it can give them rashes if applied directly on the skin, especially in large quantities. There are naturally derived ingredients like citronella oil, eucalyptus oil, and neem oil that are known to work well as insect repellents. There are also other naturally procured ingredients like picaridin from black pepper plants and oil of lemon eucalyptus (OLE) from lemon eucalyptus leaves. Since these are all natural ingredients and not as strong as DEET, they’re recommended for younger kids, as well as those with sensitive skin. 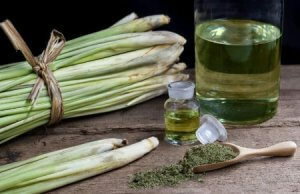 Although, you should keep in mind that citronella, neem, and eucalyptus oil-based products are not as effective as picaridin and OLE-based ones, but they’re commonly available in India and much cheaper. 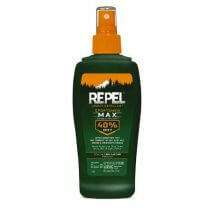 We shall now reveal our suggestions for the top 10 best mosquito repellents you can buy online. We hope you will be able to find a product on this list that meets your needs. 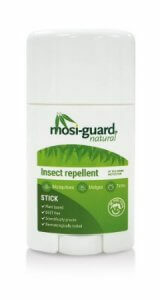 Those looking for an all-natural spray type repellent that’ll keep them safe for a short while should get this product. It’s made with citronella, cedar, peppermint, and rosemary essential oils with castor and soybean oil as the base, so it is safe for younger kids as well and keeps them safe for about 2 to 3 hours. Although, you should do a patch test first if you have sensitive skin as you could be allergic to one of the essential oils. It’s not the best option for infants or those with sensitive noses either as it is quite strongly scented, which may bother them. It may also stain clothes sometimes due to the presence of various oils, so you must be careful. 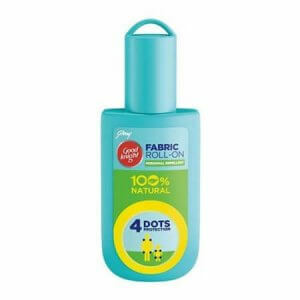 If you’re looking for a roll-on type repellent that is easy to use, and convenient to carry with you whenever you’re stepping out, this would be a great product for you. It works really well for about 3 to 4 hours, after which you should reapply. It’s only meant to be used on clothes, so there’s no stickiness, and it doesn’t leave any stains either. The smell can be quite bothersome for those who do not enjoy overly sweet scents as it has a really strong, sweet smell. Due to the intensity of the fragrance, we do not recommend this product for kids, as well as those with a sensitive nose. The size of the product is also quite small, so it does not last very long, especially if used regularly. This spray-type repellent is the only picaridin based one on this list and is one of the most effective repellents on the market. It is recommended for those who need something that’ll not only help fight mosquitoes but also keep all the other bugs away. It smells quite nice too and once it’s been sprayed, the effects last for almost 7 hours. It is a really expensive product though, and you only get a small amount compared to what you pay. 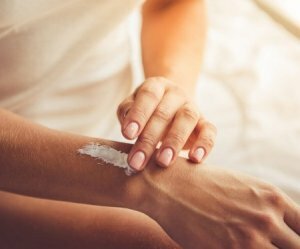 Furthermore, even though it is a naturally sourced ingredient, picaridin is not recommended for young children and those with sensitive skin as it can result in reactions. Make sure you’re not allergic to picaridin before you use this spray. 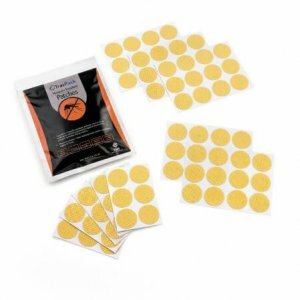 Eucalyptus and Citronella essential oils are the main active ingredients in this patch type repellent, which makes it safe for kids, and are recommended for areas with not as many mosquitoes. They’re really convenient to take with you while travelling, they have a light citrus fragrance, and the effects last for about 8 hours. In one pack of these you only get 24 patches though, and since you’re supposed to use 2 each time, if you use them every day, you’ll run out within 12 days. Therefore, in comparison to other products, the cost per use for this repellent ends up being quite high, even though it is not even that strong. This gel type repellent contains aloe vera gel and 12% DEET, and when applied on the skin, it not only keeps the mosquitoes away but also gives a cooling effect. It is recommended for those who want something they can use before stepping out of their homes, that’ll work for about 3 to 4 hours and not leave them feeling sticky. The amount of product you get can be a bit underwhelming though, especially considering how much of it you need to apply every time. It can also seem a bit expensive due to this, as it won’t last you for more than 2 weeks if used regularly. It’s also not the most travel-friendly product, as the product could potentially leak in your bag. 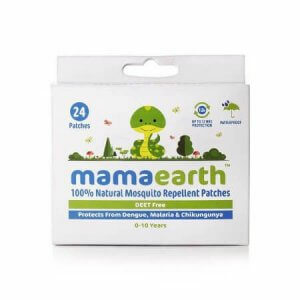 This patch type repellent contains citronella and eucalyptus oils, which is why it is recommended for little kids. It has cute animal designs, so the kids would be happy to use it as well, and the smell is quite mild, so it won’t bother their sensitive noses. These patches are easy to carry, and their effects last for around 5 to 6 hours. However, since there are only 14 patches, and you need to use two every time, it can only be used for a week, if used every day, which makes it quite an expensive purchase. Additionally, just like most other citronella-based products, this is not the strongest patch, and the glue it uses isn’t the best as it can be quite hard to remove. 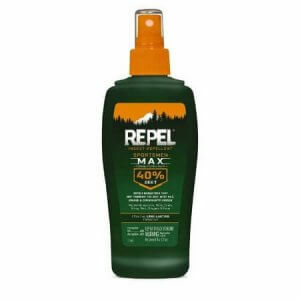 An all-time favourite, this particular cream type repellent has been on the market for quite a few years now, and it contains 12% DEET, so it helps to keep the mosquitoes away for about 3 hours. It does not have the typical pungent smell and is not too expensive either if you take into account the amount of product you get. 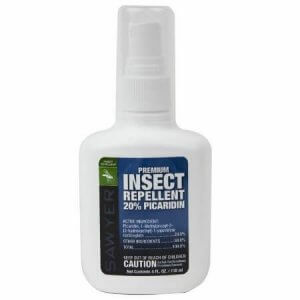 This product is especially recommended for those who are into outdoorsy activities, as this contains 40% DEET, which makes it the strongest repellent on our list, and the size is perfect to take with you while hiking or camping. You can use it both on your clothes and your skin, to keep mosquitoes, as well as other bugs far away from you. Although it seems expensive, you don’t need to use it very often as the effects last for more than 8 hours, and one of these bottles should last for more than 3 weeks. Since the percentage of DEET is quite high, the use of this product is limited to adults, and despite being a strong repellent, it doesn’t have a terribly strong smell. 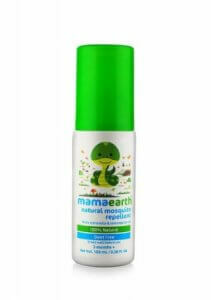 One of the best all-natural repellents on the market, this contains oil of lemon eucalyptus, which makes it safe for sensitive skin and babies over 3 months too. Although it comes in a stick form, which is easy to use, doesn’t feel sticky, has little to no smell, and once you’ve applied it, it’ll keep the mosquitoes away for almost 8 to 9 hours. It may seem a bit of a splurge product initially, but it lasts for more than 3 weeks, even with regular use. Since it is in a stick form, there is no fear of inhaling it, ingesting it, or getting it in your eyes either. It is also convenient to take with you while travelling as it is not too big, and there is no chance of it leaking in your bag either. 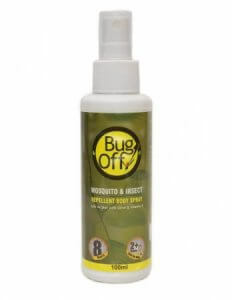 The best mosquito repellent on the market, this spray type product contains 20% DEET, which is enough to keep mosquitoes away even in heavily infested areas but is not too strong that it becomes unsuitable for children. It is easy to use, feels a little bit sticky initially, smells alright, and offers 7 hours of protection from all sorts of insects. Even if you were to use it every day, multiple times a day, it would still last you for at least 2 weeks, which makes this product one of the most affordable repellents as well. It is recommended for those who live in areas with heavy rainfall and lots of mosquitoes, as it would help them stay safe from diseases without breaking the bank. Since it is almost time for monsoon in many parts of India, we would suggest you to prepare mosquito repellents, coils, and nets, to keep yourself safe. Aside from buying all these products, we would also recommend you to make sure there are no places around your house with uncovered, clean water, where mosquitoes can lay eggs. We hope this article has helped you understand the differences between different types of mosquito repellents, and how you can choose the best one for yourself. We also hope that our list of top 10 best mosquito repellents made it that much easier for you to get your hands on one to keep the mosquitoes at bay this monsoon season.